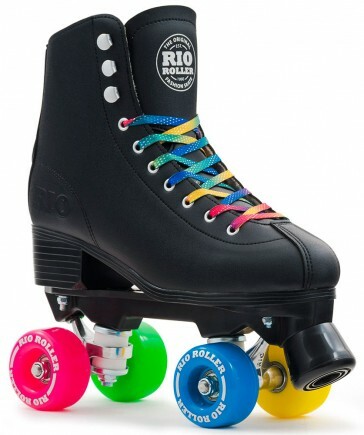 Rio Roller figure roller skates black - the new roller skates in black. Fitted with 4x 58mm x 32mm / 82A wheels and Abec 7 ball bearings. The new roller skates from Rio Roller in black look not only optically super, but are also technically well equipped. The wheel diameter is 58mm, as well as the wheel width 32mm. An Abec 7 ball bearing has been installed. As a result, these roller skates are very high, give the feet an extra strong hold. 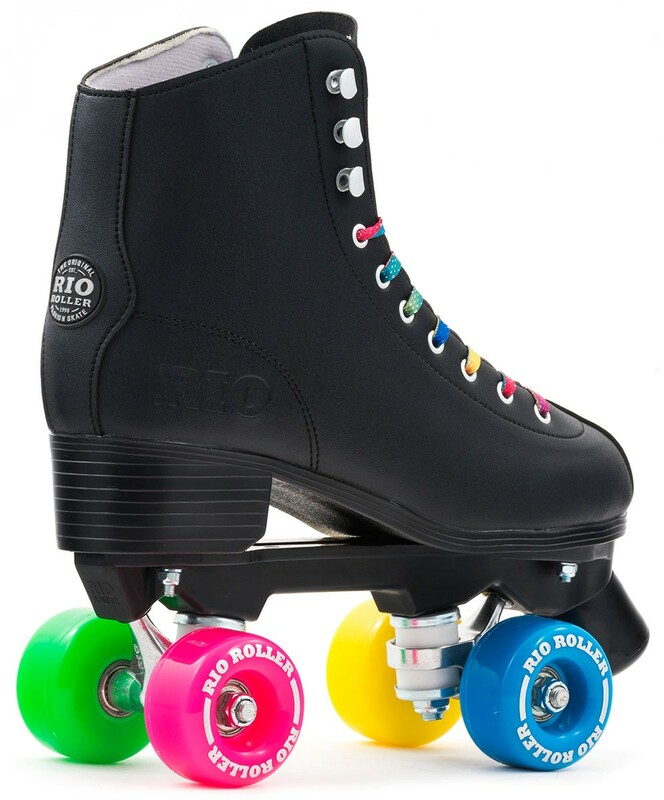 Perfect retro roller skates for the roller-skate disco or the skate park. High quality heel support and anatomical insole with additional padding. PU cast brake, easily exchangeable.